There is nothing better than relaxing outdoors in the back garden. It's the perfect place for kicking back and spending time with friends and family. And as Canadians, we know how we have to make the absolute most of summer weather! 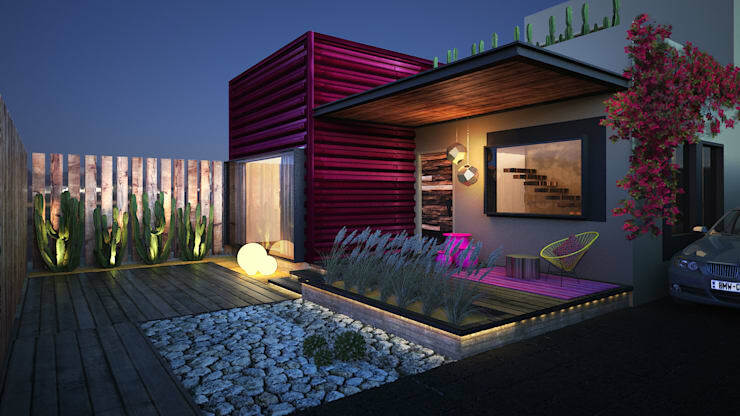 The backyard is also a space where decor needs to be used intelligently, especially in a small space. With good ideas, you can truly do a lot with a little. 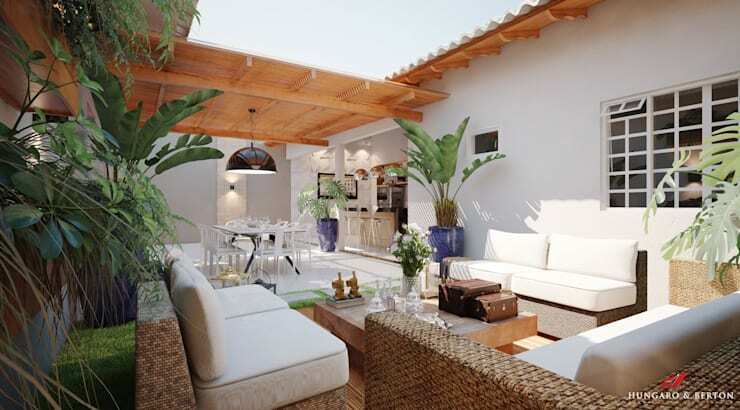 When it comes to solutions that are inspiring, we have chosen to look at the backyard today at homify so that you can make this area a much more pleasant space. We've brought you 9 special projects that from top professionals from around the world, which will inspire you today as well as serve as reference points for you to copy at home! Whether its through colours, lighting, garden furniture or leisure facilities, the option of improving the back garden is always worth it. 1. Invite visitors to a room in the garden! To break up the coldness of the walls on your terrace or in your garden, choose shrubs or plants that grow vertically and close to the walls. This is a great solution! 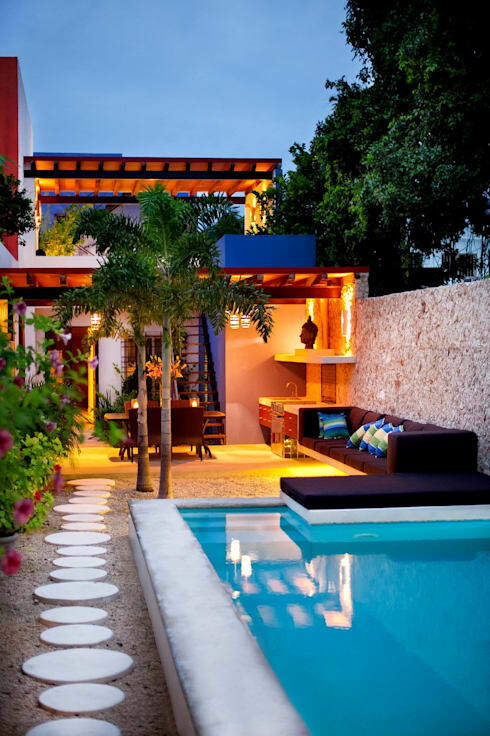 In this way, your backyard looks far more natural and in harmony with the garden that surrounds it. You can also get help from a professional landscaper if need be too! 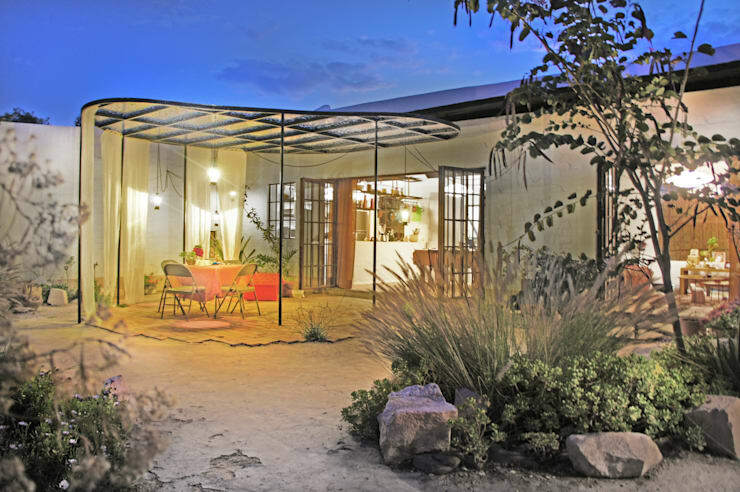 In this image, we can see how well this design works in this project by Stefani Architecture. 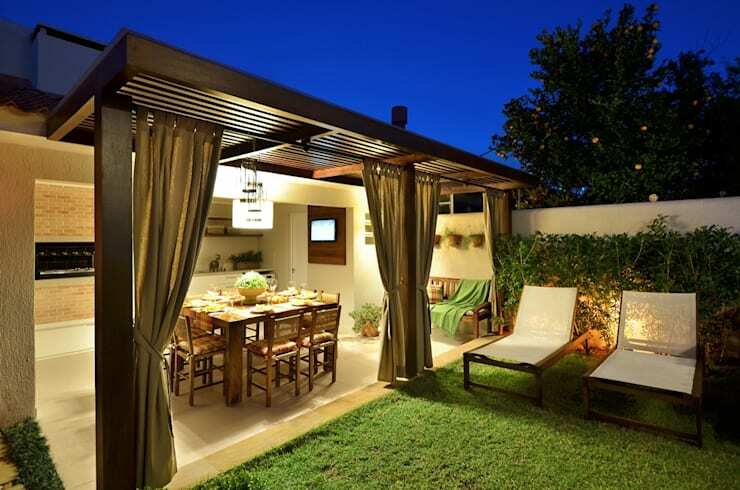 A key tip in creating amazing effects in the backyard is to choose beautiful lighting. LED or neon lights can give excellent results to a space, illuminating the detail and design. 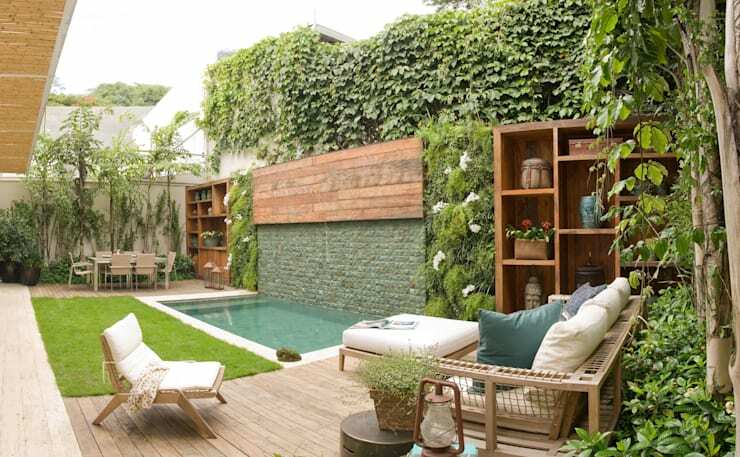 In this landscaped garden, the wooden patio balances beautifully with the natural features, while the vertical garden and wooden shelves create very special design. This is a very trendy feature that gives the family garden a little bit of personality and charm. Although the most common structures are made from wood, you can find beautiful alternatives to adorn the garden. As we can see in this image, pergolas just make a garden that much more special and interesting. 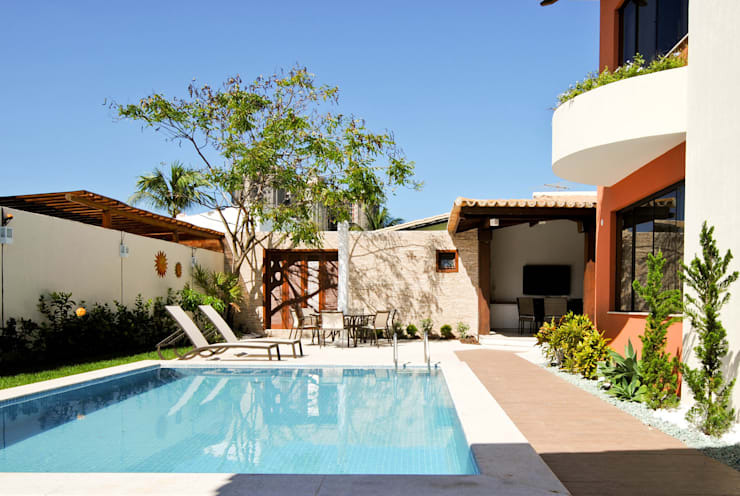 Exercise, meals and rest: this backyard of dreams brings together a range of functionalities for various day-to-day activities. Why not organize a barbeque by the pool? Or relax in the sun on a reading chair? There are many possibilities for a well-planned space! In this backyard, we can see how everything is well distributed and organized with so much beauty. 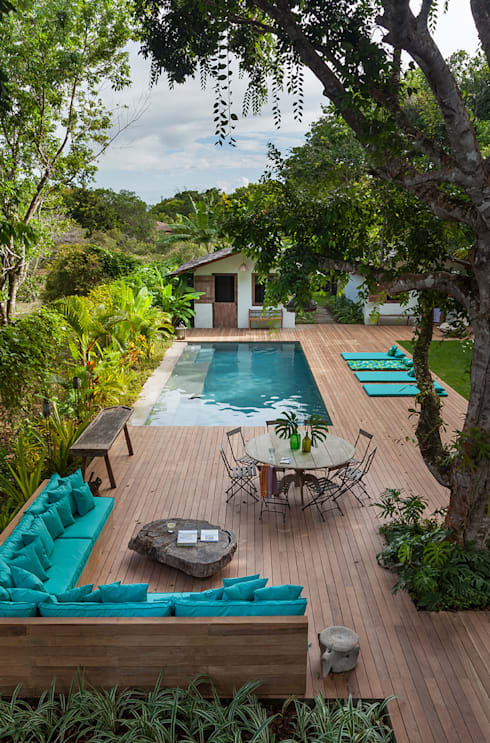 The large wooden deck and the swimming pool are the perfect elements for this large area, as well as the dining room space and sofas, which provide the perfect resting spot. Also have a look at these 17 budget garden ideas for your home. Are you inspired to put on your gardening gloves?